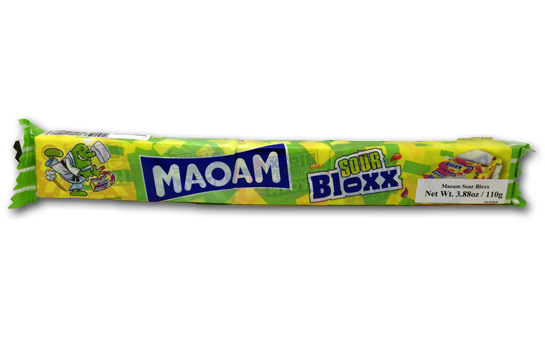 Earlier this year I reviewed some amazing chewy taffy from Maoam, a division of Haribo. 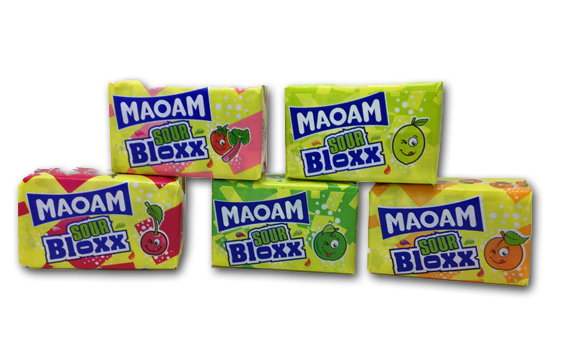 Today, we’re going to look at some similar products from them, but on the sour side. Second talking point: we’re sticking with flavor. Because I can’t stress enough, they’re doing something magical out there with flavors. Even the basest of the base-cherry-just pops off the page. The apple induces moth watering in the classic way you remember eating apple candy as a kid. And those are the worst 2 flavors. The lime is predictably sublime GET IT-why isn’t there more lime candy? It’s so perfect as a flavoring, I can’t get enough of it because there isn’t enough of it. There’s not a lot of sour peach candy, and that’s also strange, because it’s HEAVENLY. So full of fresh fruit flavor, yet so damn sour. But the winner here is the strawberry & rhubarb. This combo is bigger in the southern US for some reason, but I have no idea why-it’s a glorious combination, and rhubarb can grow anywhere. Fruity strawberries mixing with this complex sour flavor of rhubarb…it’s a bit shocking. Even Jonny Guru Jr., who’s never actually eaten a rhubarb irl, loved this. 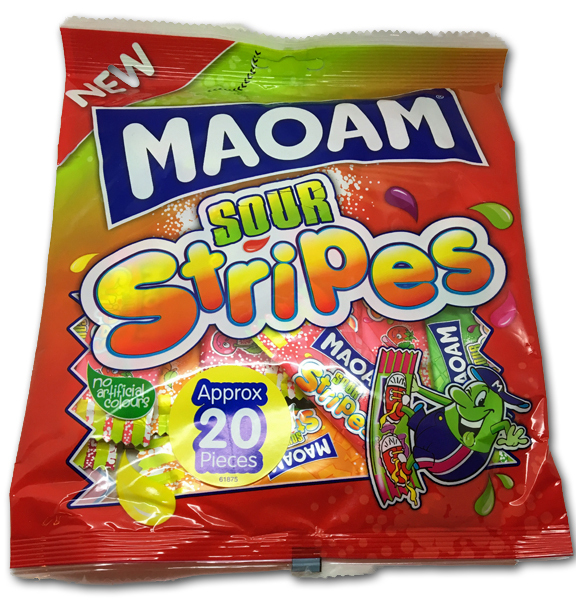 The way they nail the sour power on these…they should give a master class. Definitely not too sour, but it’s really packing a punch that makes you want to reach for more. As for the texture, it’s great. Chewy, but not a painful jaw workout. 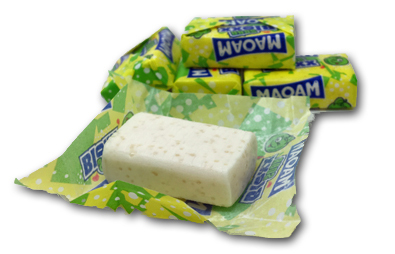 Also not grainy like Airheads get, instead they’re much smoother. 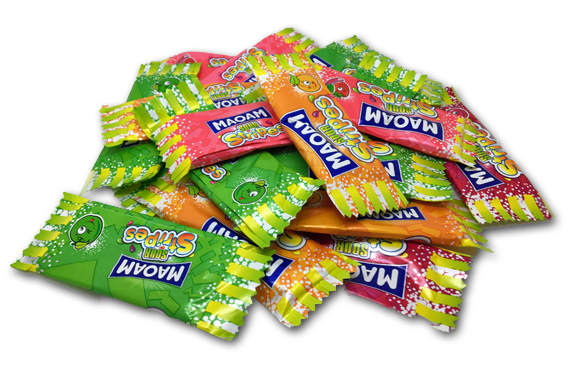 As an additional bonus, all flavors look the same as the one unwrapped piece above-no unnecessary artificial colorings. The craziest part of this whole thing is that you can get three bags sent to your doorstep in two days for only ten bucks! That’s just crazy cheap even for domestic candy-but for a foreign made random treat from around the world? No brainer. Just stop doing whatever useless thing you’re currently doing, because let’s be real with each other: it’s not as important as this. Click that link, homie, and live. LIVE, DAMN IT, LIVE!